Bolivia, a few years from now: this beautiful South American country has become the largest cocaine producer in the world. The influential and vicious Santa Blanca drug cartel has turned the country into a narco-state, leading to lawlessness, fear, injustice, and violence. The cartel is on track to becoming a major underworld power and global threat. An all-out war is not the answer. A surgical, stealthy, lethal approach is the only way to stop the disease at its source. The Ghosts, an elite US Special Forces team, are sent behind enemy lines to wreak havoc, destabilize, and eventually break the alliance between the cartel and the corrupted government. 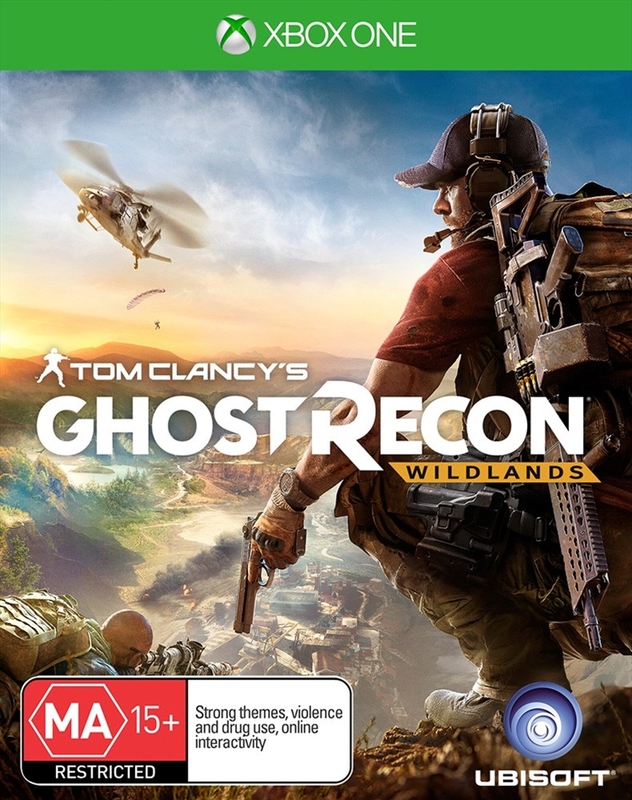 Facing an almighty enemy in a massive and hostile environment, the Ghosts will need to make critical moral choices and engage in tough battles to complete their mission - their grittiest and most dangerous operation to date. From the infamous Death Road to the world's largest salt flat, journey through Ubisoft's largest open world action adventure game to date. Discover massive regions inspired by Bolivia and South America, their stunning vistas and incredible diversity. Explore the hundreds of villages, landmarks, and legends populating this country in one of the many available vehicles, both on and off road, in the air, on land, and at sea. Immerse yourself in Bolivian culture as you cross paths with inhabitants reacting to their own agendas and to the game's day-night cycle and weather system. Interact with different factions in the game: gather intel from the Santa Blanca cartel, bribe the aggressive Unidad military force, benefit from the local rebels' resources, or protect the native population. Start inter-faction battles to cause distractions and help you reach your objectives. The world will react differently to each of your choices: unexpected opportunities and threats could arise from any situation, turning into long-lasting and dire consequences. Manipulate the system. Manipulate the unexpected.